Titanium Donors contribute at least $4800 per year, either as a lump sum or charged at $400 per month to a credit card. Platinum Donors contribute at least $2400 per year, either as a lump sum or charged at $200 per month to a credit card. Gold Donors contribute at least $1200 per year, either as a lump sum or charged at $100 per month to a credit card. Silver Donors contribute at least $600, either as a lump sum or charged at $50 per month to a credit card. Bronze Donors contribute at least $300, either as a lump sum or charged at $25 per month to a credit card. President’s Club membership lasts for one year. You may sign-up for the President’s Club on our online store! Note: All prices listed in US dollars. Do you send QSL cards for satellite contacts? You can help AMSAT by inserting a form describing AMSAT and providing membership information. Put one of these inserts in every QSL mailing and you will help other hams find AMSAT and you will help AMSAT to build new satellites. (QSL inserts updated March 2005.) Print the first page on the front and the second page on the rear. If using a duplex inkjet like the HP PhotoSmart series choose Properties, Features, Two Sided Printing and check the Tablet (not Book) box. Then just cut and use. AMSAT operates a storefront on Zazzle. 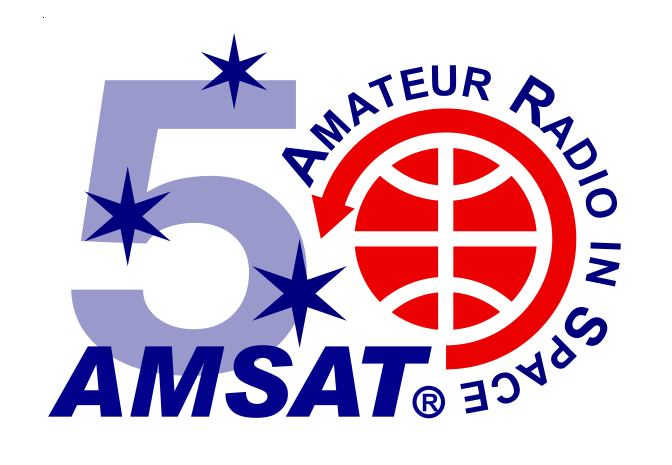 Numerous products are available with the AMSAT logo, including t-shirts, hooded sweatshirts, mugs, mousepads, and stickers. Colors and styles for each product are fully customizable. Even kids sizes and athletic wear are available through the customization options. Now you can outfit the whole family in AMSAT gear! 25% of the purchase price of each product goes towards Keeping Amateur Radio in Space.